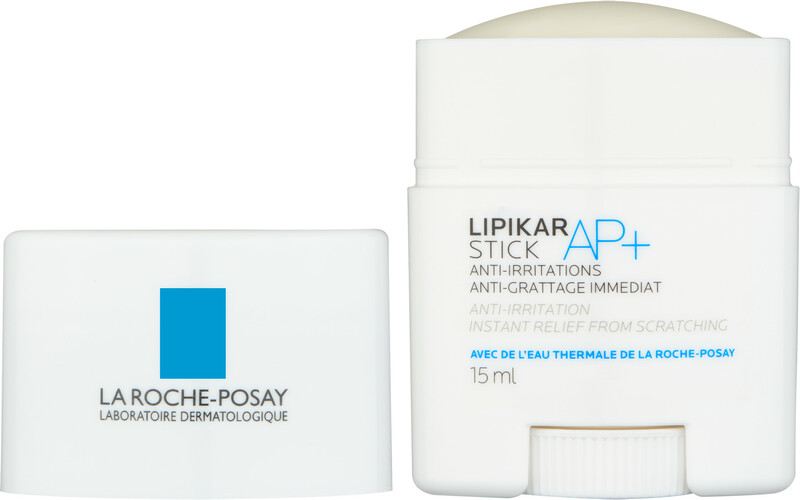 Immediately relieve your skin of itchy discomfort with the La Roche-Posay Lipikar AP+ Stick; a skin-soothing on-the-spot treatment for skin that’s prone to irritations. 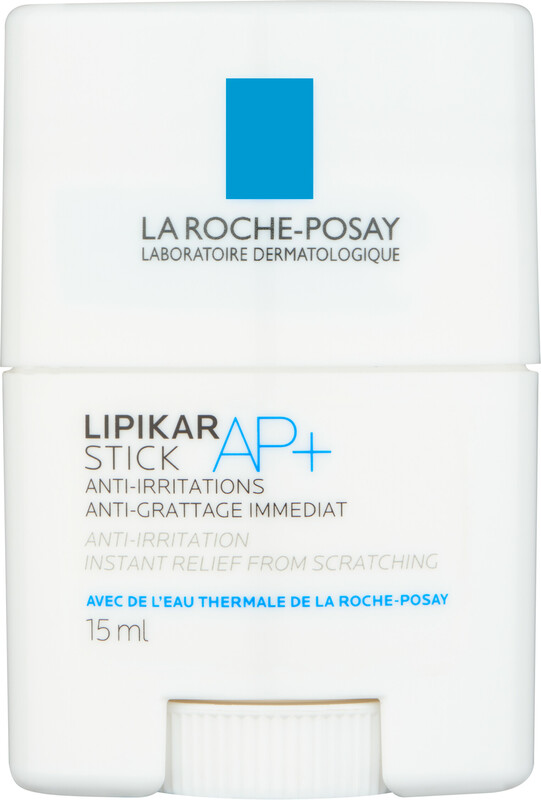 Created for the needs of skin that’s prone to eczema, sensitivity and dryness, the La Roche-Posay Lipikar AP+ Stick will instantly soothe and calm the need to scratch. To be used when you feel the urge to itch, this anti-inflammatory and antibacterial stick is safe for all ages, even babies. The high concentration of La Roche-Posay Thermal Water instantly repairs and replenishes the skin’s barrier for improved comfort and hydration once applied. The combination of lipid replenishing shea butter and madecassoside soothes irritations that are due to moisture loss, whilst repairing the barrier function of the skin. To keep your skin and your stick bacteria free, zinc gluconate prevents contamination on the face and body. Apply as often as necessary, as soon as the scratching sensation is felt to both the face and body. Free from perfume and parabens. 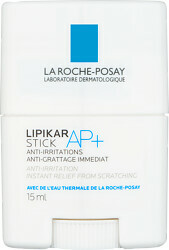 La Roche-Posay Lipikar AP+ Anti-Irritations Stick 15ml is rated 5.0 out of 5 by 1.